Home / Health / Five Daily Habits That Can Damage Your Liver. Five Daily Habits That Can Damage Your Liver. This article is quite long but it is very useful to we humans especially youths of these days. Here are some of the daily habits we engage in that can damage our liver and endanger our lives. 1. 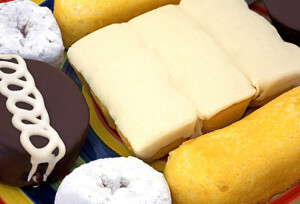 POOR NUTRITION AND OBESITY. Obesity is linked to poor eating habits and can harm your liver over time, just as drinking too much alcohol does. The reason for that is that too much of the wrong foods causes excess fat build-up in the liver, known as Non-Alcoholic Fatty Liver Disease. The liver normally helps to process and regulate the amount of sugar and fat in the blood, but in obese people the liver becomes overwhelmed and starts storing excess fat in its own liver cells, either because there is no other place for them elsewhere or the liver fails to break them down. Over time, if too much fat is accumulated in the liver, the liver can become inflamed and the liver cells can be damaged. 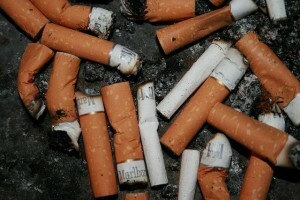 Smoking not only harms the lungs but also harms the liver. The numerous toxic substances inhaled in cigarette smoke find their way to the liver and add to the overall toxic load placed on the organ. The chemicals cause oxidative stress that lead to formation of free radicals that destroy liver cells, This is an habit you must quit to live a long healthy life. I know this may sound weird to most of us but it is actually true. A study published in the Journal of Anatomy found that sleep deprivation can cause oxidative stress to the liver. 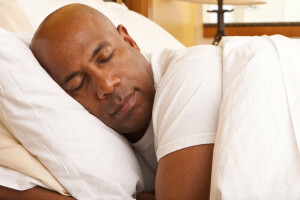 Another study reveals why shift workers and people who suffer from sleep deprivation suffer from a large range of health problems, such as obesity, diabetes, heart disease and more. It was found that their livers aren’t processing fat efficiently and instead allowing fat to accumulate (which proves that the body cannot function properly without a properly working liver). Also when we sleep, our body goes into a repair process. So, make sure you get a good 8 hours of sleep, as lack of sleep will ruin your elimination process and damage your liver. I think I need to find a solution to my insomnia. Overuse of over-the-counter drugs and certain prescription drugs is known to cause liver damage. Some of these drugs include antidepressants, mood stabilizers, corticosteroids (used for treating inflammation) and pain relievers. It’s therefore important to review the side effects and adverse effects of medications before taking them. I know this is a habit we all know to well. Most people know the associated dangers but we cannot overemphasize it. Heavy alcohol consumption is the most common cause of liver damage. Excess amount of alcohol decreases the liver’s ability of removing toxins from the body. This is because the liver gets diverted from its other functions and focuses mainly on converting alcohol to a less toxic form, and this causes fatty liver disease and inflammation. 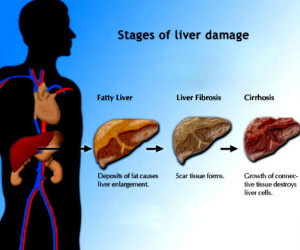 When the liver tries to break down the alcohol, the resulting chemical reaction can damage the liver cells, and after a long time of consuming excess amount of alcohol, the damage can become permanent and cause cirrhosis (scarring of the liver) which leads to loss of liver function. Frequent alcohol abuse can degrade the liver over time and kill off cells. When the liver attempts to repair this damage, it could lead to DNA mutations that kick start cancers.